However you feel about the decision to split the UK from the EU, whether you were in favour of it or not, these are somewhat uncertain times. But they are also times of opportunity for the UK's small business and startup communities. How can you make the best of things, swiftly grasp the right opportunities and remain in control of what happens with your business? Because there may be a few troubles and challenges ahead. But unlike Irving Berlin and Nat King Cole, we're not promising moonlight, music, love or romance. Instead, how does certainty, solutions and experienced guidance, at your fingertips, sound? 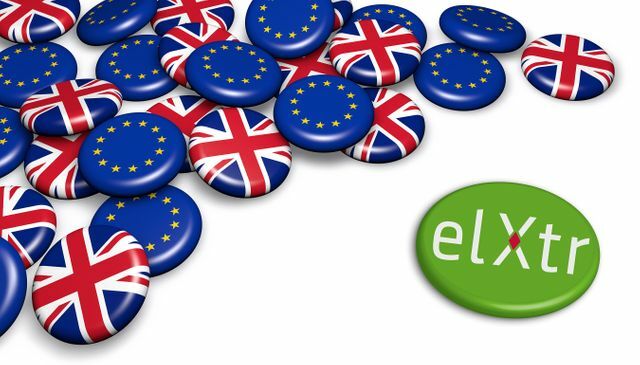 If that sounds more like your cup of tea and you're a business owner concerned for how the UK's split with the EU is going to affect your business from one day to the next, check out www.elxtr.com. Get in touch if you want to join our established and growing, confident business user community. For entrepreneurs, startups, SMEs, we’ve got what you need. Alongside daily updates on legal developments affecting business and what to do about them, you can pic ‘n’ mix from a variety of business and legal solutions, products, tools & services available any time, any place, on any device you choose & terms you control. Browse through our growing portfolio of non-legal expert business partners offering brilliant deals on their own products and services (many exclusive to elXtr), all easily accessible at special rates on elXtr’s platform. Need to talk to someone? No problem. We've got that covered too. On an unlimited basis if you like. Just say the word and we’ll tailor a solution to suit you, or point out where you can already get it, at a great price. This is real law and real business, made easy. And we never stop investing in it or testing upgrades, new features and new content with our diverse, UK-wide community of businesses like you. Giving you, them (and us) the confidence that what you find here isn’t just relevant and helpful, it’s also tested, refined and valued by your peers. Find out more about elXtr here. Let's help restore calm and successfully handle the UK's future together. elXtr is powered by the award-winning disruptors at LHS Solicitors LLP.